Create a personalized education program with immediate application. Lerner executive education provides you with actionable, research-based knowledge to help you improve your business. 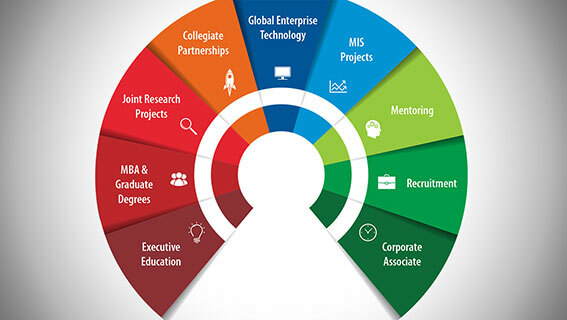 Our program is personalized: you choose the programs that matter to your business and career. You can take just one program or stack them together to earn a personalized Lerner Executive Education Certificate. Our expert faculty provide you with the latest business research findings on leadership, finance, big data and more. We use real-world case studies, team work and facilitated discussion to help you think about how to apply what you learn to your business. Half-day programs start at just $595 per person; full-day programs at $995. Programs are offered at Lerner’s One South Main Street Hub in Newark, DE. Programs are offered on Fridays throughout the year. We offer tiered pricing for companies interested in sending multiple employees to our programs to complement in-house employee development programs. In addition, our programs can be customized for your company’s needs and taught on-site.